45 miles west of La Paz high in the Andes mountains, lie the mysterious ancient ruins of Puma Punku. The megalithic stones found here are among the largest on the planet, measuring up to 26 feet long and weighing more than 100 tons each. Puma Punku is a large temple complex or monument group that is part of the Tiwanaku Site near Tiwanaku, Bolivia. Puma Punku is so unique in the way that it was constructed and shaped and positioned, that it is the most intriguing ancient site on the planet. If you look at the stones carefully, you can see some intricate stonework, as though they used machine tools or even lasers. Evidence of ancient civilizations using modern technology? Sure. At Puma Punku you will find incredible stones with these perfect right angles, smooth as glass, this makes Puma Punku unique and over of the few places on earth to find this type of stone work. The massive stones were hewn at quarries over 60 miles away. Puma Punku is located at an altitude of 12,800 feet, which means it is located above the natural tree line, this means that NO trees grew in that area which means that no trees were cut down in order to use wooden rollers, the question is how did they transport the stones? 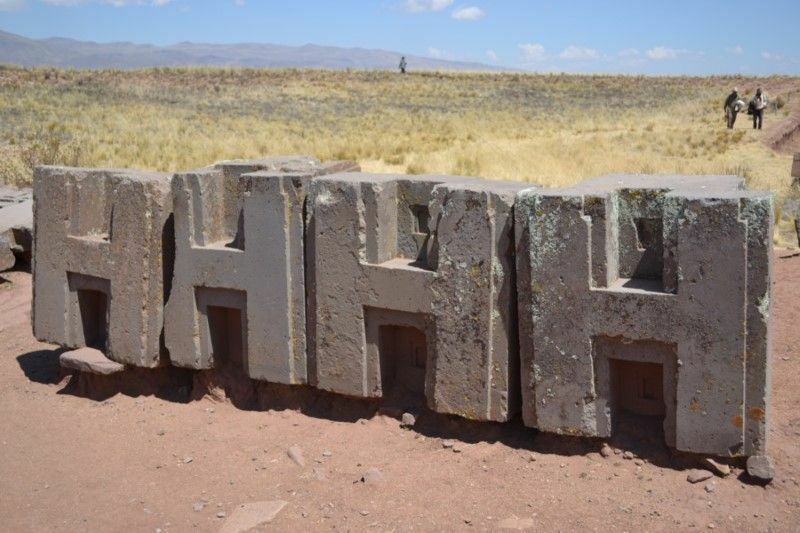 Tiahuanaco is located near Puma Punku, less than a quarter mile northeast of Puma Punku. Scientists believe Tiahuanaco was once the center of a civilization with more than 40,000 inhabitants. Tiahuanaco is probably the greatest Native American civilization that many people haven’t heard of. It’s said that in Tiahuanaco are all the races of mankind represented, even elongated skulls, people wearing turbans, people with broad noses, people with thin noses, people with thick lips, people with thin lips, and some of the statues are particularly unusual and are unlike the ones found in the nearby area. One of the most important archaeological artifacts ever discovered in Tiahuanaco or Puma Punku is the famous Fuente Magna Bowl discovered near Tiahuanaco. The Ceramic bowl, has Sumerian cuneiform and Proto-Sumerian hieroglyphic written on it. The megalithic stones found at Puma Punku are among the largest on the planet. There are stones at Puma Punku that weigh over 100 tons.